Stunning card Sylvie, such a romantic image and I love your elegant design. Such an elegant wedding card, Sylvie. Thanx for sharing with us Fantasy Stampers - hope to see you again soon. 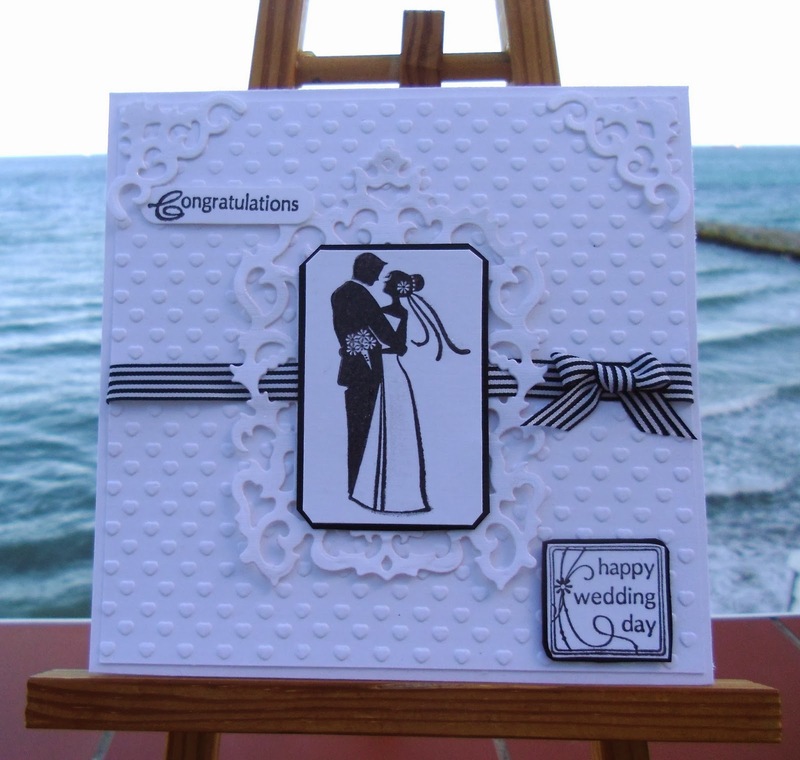 Gorgeous card Sylvie, I like the image the black & white and the embellishments. Such a pretty card Sylvie - looks so elegant in black & white. Sorry about the weather! Such an elegant design, love the black and white! A lovely, elegant wedding card!